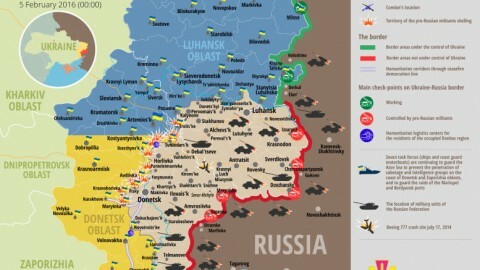 Russia – Ukraine war updates from the war zone in southeast Ukraine as of February 8, 2019 by Joint forces operation HQ data: EMPR highlights. 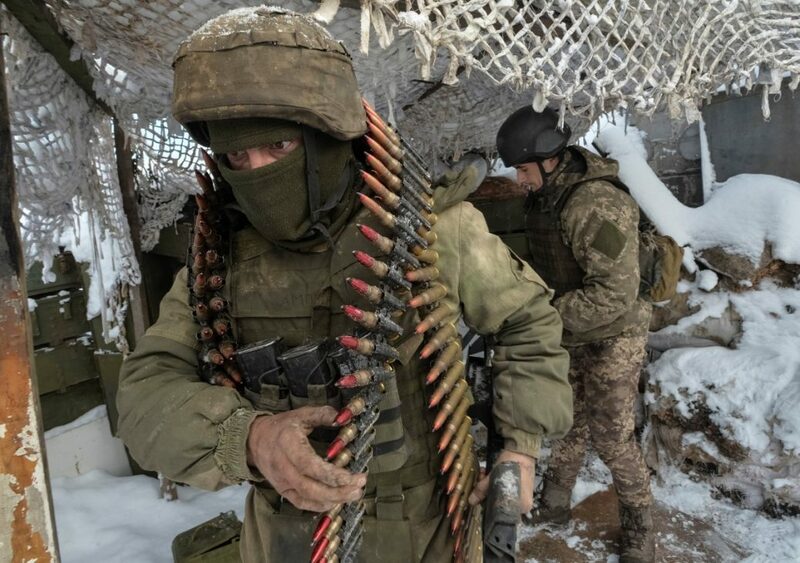 (1) Russian hybrid forces launched 6 attacks in the war zone in eastern Ukraine for the last 24 hours, including 2 with the use of forbidden weaponry. 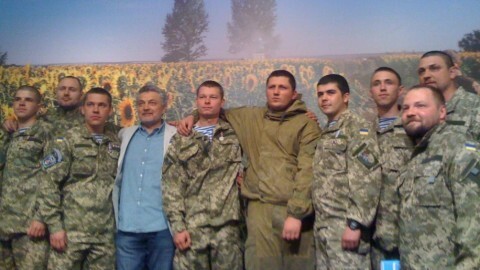 high caliber machine guns – in the area of Vodyane. 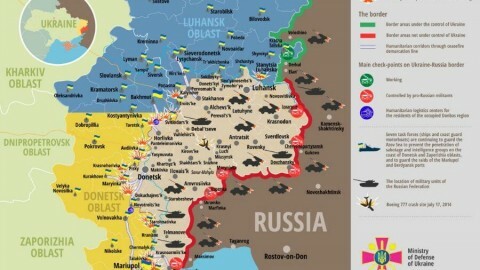 (4) Russian forces losses over the last day are as follows: 1 killed in actions and 3 wounded in actions. (5) No lethal casualties as well as no wounded in action reported among Ukrainian servicemen for the past day. 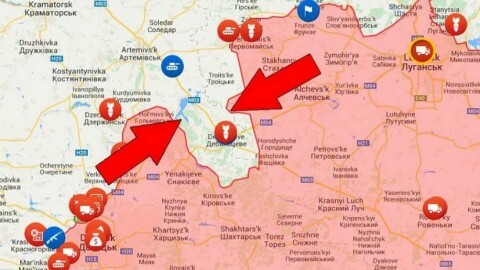 Debaltseve is surrounded by the enemy forces: another Ilovaysk? 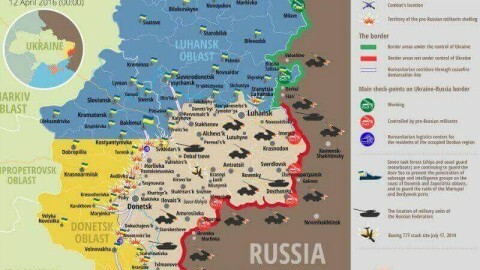 This is the latest map of the conflict zone in eastern Ukraine. What is shown on it?